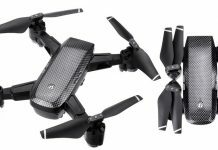 If you missed our Black Friday & Cyber Monday drone deals and you are still looking for a nice Christmas gift, you should check the secret list of Santa’s favorite drones under $100. Over the last few years, drones became one of the most popular Xmax gifts. They are fun to fly and can take amazing aerial videos. From a wide price range to large variety of features, there are many type of drones and finding the right one to buy isn’t so easy. Here comes Santa to help you with his best drone deals for Christmas 2018. 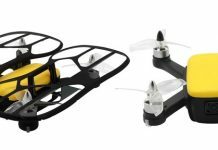 For a budget of 100 dollars, you can find a wide variety of drones, from GPS enabled cruising ones to FPV racing models. Among the many drone reviews we did in 2018, I personally liked most the VISUO XS812 quad. In addition to its friendly price tag, it features GPS positioning system and full HD camera. Thanks to the high capacity LiPO battery (3.7V/1800mAh), the XS812 drone can stay up to 15 minutes in the air. For even more fun time you can opt to order it in bundle with 3 flight batteries. I know that even with 24% off, the B2SE costs more than $100, but IMHO those extra 28 bucks are well invested money. It features brushless motors, which are more powerful and much reliable than brushed ones. Regular followers of FirstQuadcopter.com probably already read our MJX Bugs 2SE review, we included un-boxing and test flight video. 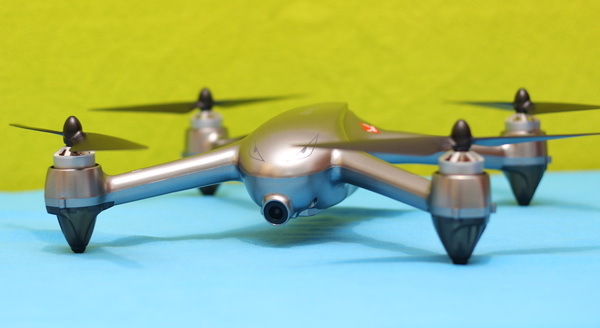 The B2SE proved to be easy to control and a very stable quadcopter. It features fail-safe RTF, which means that, in case of RC signal loss, the aircraft will return automatically to the take-off point. The Eachine Tyro 99 KIT includes all the parts required to build an ARF FPV drone (frame, motors, ESC, flight controller, camera, VTX). In order to get it in the air you will additionally need a radio receiver, remote controller, flight battery and charger. Based on a versatile F4 flight controller, it can be configured with multiple flight modes. 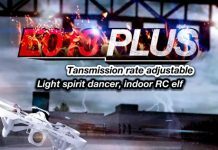 While newbies can opt for fully stabilized mode, expert pilots can have fun with Rate mode. If you’re in the market for a cheap drone deal, now’s a great time to find a good price, regardless of whether you’re shopping a kids drone or a learn-to-fly quad for your own fun. Like in case of most toy drones, the “H” letter in the product name means altitude hold. Thanks to the barometric air-pressure sensor, the Eachine E016H Mini drone is capable to autonomously maintain its flight altitude. 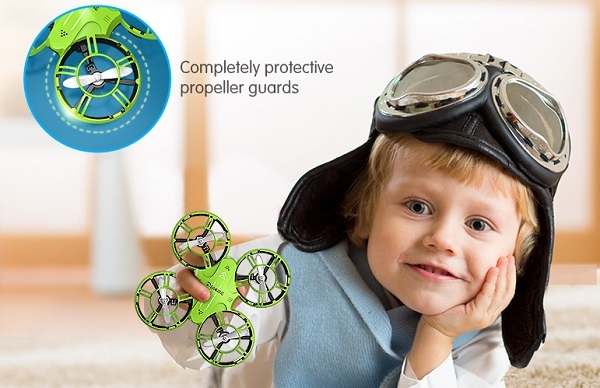 The E016H Mini drone features fully enclosed detachable protective blade protectors, which makes it safe for kids. It can be found with 1, 2 or 3 batteries. Each fully charged LIPO will allow up to 8 minutes of play time. 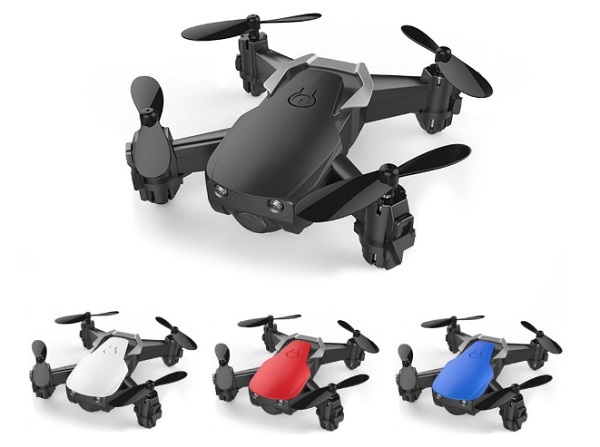 As you can see in the image bellow, the Eachine E61HW looks just like a baby Mavic Air. In front, instead of obstacle avoidance sensors, it has two bright LEDs. It is available in four colors: black, white, red and blue. In addition to the on-board WiFi FPV camera, it features altitude hold, headless mode and multiple flight rates. This E61HW has an even cheaper version without alt-hold feature and on-board camera. The E61 is advertised for only $15.99 (including free shipping). Both versions are available with 1, 2 or 3 batteries. The JJRC H67 is a re-branded version of the Eachine E011C. It features identical design with Santa Claus LEGO alike figure on top. In spirit of Santa, the entire aircraft is fully red and it is able to play X-mas songs. Thanks to the ducted propeller guards it is very safe for kids. It features headless flight mode and multiple flight speed rates. In front, instead of a camera, it has only a LED which will guide you during night flights.